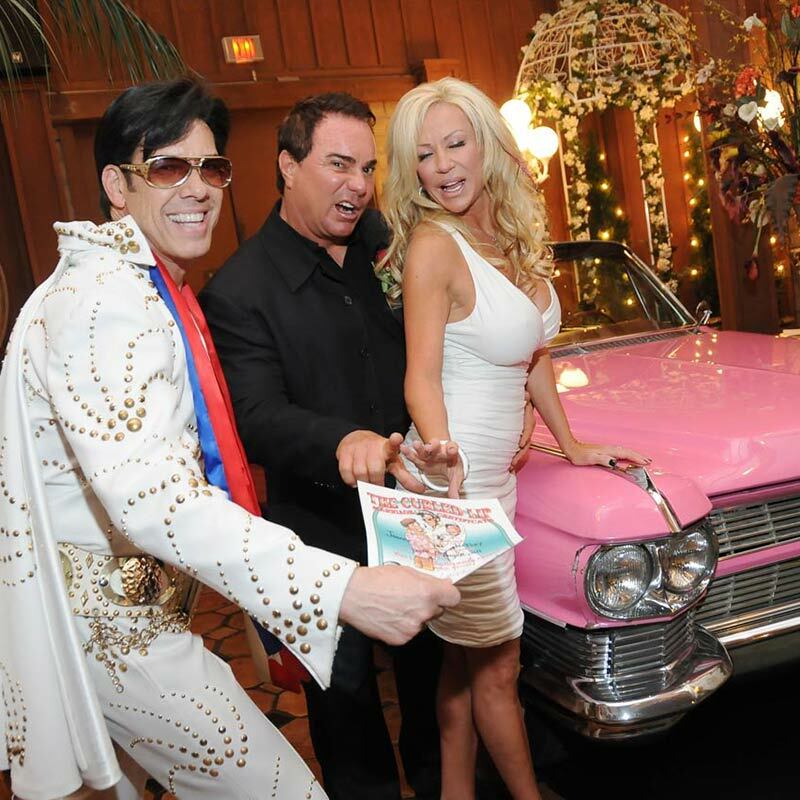 If you want to make a spectacular entrance on your wedding day in Vegas, let Elvis drive you right down the aisle of our Viva Las Vegas Wedding Chapel in a gorgeous 1964 pink Cadillac convertible! 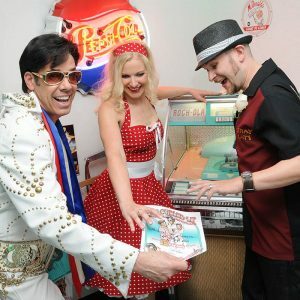 Rockin’ Elvis theme music, fog and theatrical lighting effects make the atmosphere even more electric as Elvis’s vintage car shoots through our main doors. 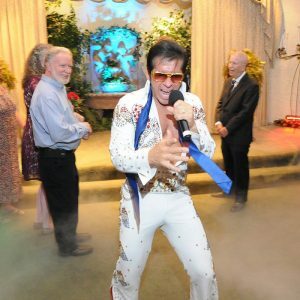 But no kidding, your guests will be on their feet cheering, and friends and family watching on the Internet will simply be blown away. 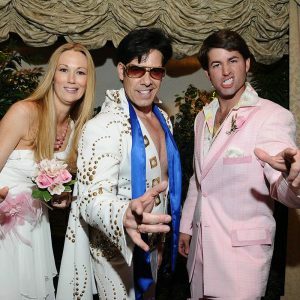 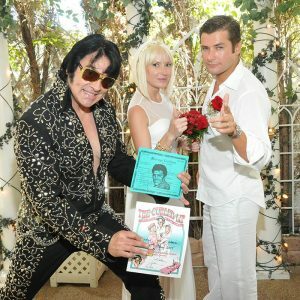 Elvis then escorts you to the altar, where he’ll perform the ceremony as well as three legendary songs. 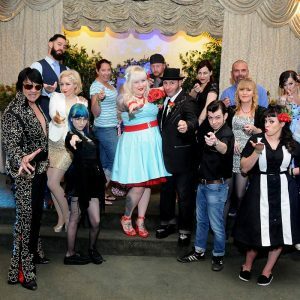 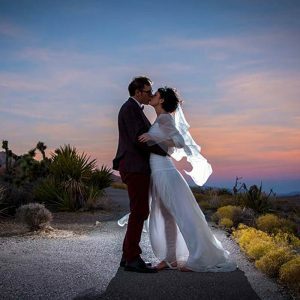 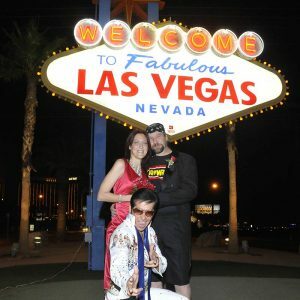 The unbelievable energy of this phenomenal wedding package culminates as guests join you dancing in the aisle to Viva Las Vegas. 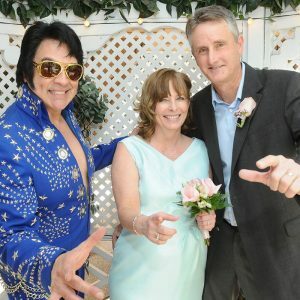 It’s truly the wedding experience of a lifetime! Pink Caddy Wedding includes: Pink Caddy Entrance with Fog and Lights, use of our Elvis Wedding Chapel, Elvis singing three songs and performing the wedding ceremony, Witness, Candlelit Chapel, 6 Rose Bouquet for the Bride, Matching Boutonniere for the Groom, 10 Candid Ceremony Prints, Video of the Ceremony, Names in Lights on the Marquee, Free Wedding Website and Wedding Invitation, Courtesy round-trip limousine service from any hotel on The Strip or Downtown, Chapel fee, plus personal wedding Coordinator.